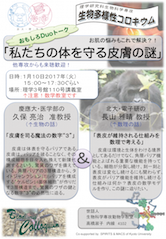 "The mystery of the skin, our bodyguard"
This seminar is co-hosted by the MACS and SPIRITS projects of Kyoto University. Note that the venue and day are different from the usual one (the place is Faculty of Science building n. 3, room n. 110). The poster of the seminar can be downloaded from here. "Dynamics of gene regulatory networks under perturbations of network topology"
Abstract: Experimental data on gene regulation is mostly qualitative, where the only information available about pairwise interactions is the presence of either up- or down- regulation. Quantitative data is often subject to large uncertainty and is mostly in terms of fold differences. Given these realities, it is very dicult to make reliable predictions using mathematical models. The current approach of choosing reasonable parameter values, a few initial conditions and then making predictions based on resulting solutions is severely subsampling both the parameter and phase space. In addition, this approach does not provide provable predictions about the dynamics. We present a new approach that uses continuous time Boolean networks as a platform for qualitative studies of gene regulation. We compute Dynamics Signatures Generated by Regulatory Networks (DSGRN) Database that provides a queryable description of global dynamics over the entire parameter space. The results obtained by this method provably capture the dynamics at a predetermined spatial scale. We apply our approach to study a neighborhood of a given network in the space of networks. We start with a E2F-Rb network underlying the mammalian cell cycle restriction point and show that a large portion of the parameters support either the proliferative state, quiescent state, or bistability between these two states. We sample perturbations of this network and study robustness of this dynamics in the network space. We also show how to use our approach to propose, based on time series data, a network responsible for cyclical emergence of malaria parasite from red blood cells. This is a joint seminar with "Kyoto Dynamical Systems seminar". "Blowup or No Blowup? The Interplay between Theory and Numerics"
Abstract: If the 3D incompressible NS equation will blowup in finite time is one of the most important problems in mathematics. Since the well-known results by Leray in 1934, there was a lot of progress on this problem by theoretical studies. Even though, the final answer to this problem seems still extremely far away. On the other side, a lot of studies on scientific computing was searching for solutions with possible finite time singularity, aiming on some clues to the PDE analysis. The candidates include the Taylor-Green flow, the anti-parallel vortex tubes, and the Kida-Pelz setup with high symmetry. 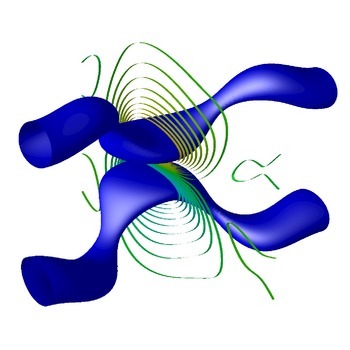 The work on scientific computing ranges from proposing new candidates, ruling out possibilities of finite time blowups, and revealing flow structures with vorticity growth. These studies may contribute not only new clues to theoretical studies, but also new methods to improve the capcity and performance of scientific computing itself. Following this route, in this talk I will introduce some progress of scientific computing in searching for the finite time singularity of 3D incomrepssible Euler and NS equations. Note: This seminar will be broadcasted at the University of Tokyo (Graduate School of Mathematical Sciences); please contact Norikazu Saito norikazu(at)ms.u-tokyo.ac.jp for details. "Pattern formation induced by dynamic deformation of domain"
Please note that the day and time of this seminar are different from the usual ones. "Time-series analysis and predictability estimates based on delay-embedding"
Abstract: Delay-embedding is well-known for time-series analysis to reconstruct original dynamics. Takens' theorem ensures validity of the delay-embedding, nevertheless configuration of embedded data may easily vary with the delay width and the delay dimension, namely, “way of embedding”. In this talk, we investigate a mathematical structure of the framework of delay-embedding analysis in view of the integral operator theory, in order to provide Ansatz for the appropriate way of embedding. Moreover, we construct a prediction model and its predictability estimates by the use of this method. Some practical studies based on this methodology will be also shown. "Fluid Mechanics on Cardiovascular System"
"Application of Conley-Morse graphs to time-series analysis of biomedical signals"
"Volume optimal cycles for persistent homology"
"Incompressible limit of the porous medium equation with a drift"
Abstract: In this talk, I will present recent results concerning the singular limit of the solutions of the porous medium equations with a drift. This problem appears in models of tumor growth, population dynamics in cell biology, congestion and crowd control. In these situations, a conserved quantity is being transported by an external drift field, but the amount of the quantity present in a given volume is constrained, for instance by the maximum packing density of cells. In modeling, this constraint is often relaxed, the quantity is allowed to be compressible, and its accumulation is prevented by introducing a degenerate diffusion that kicks in when the density becomes too high. We show that, in the incompressible limit, the solutions of this problem converge to the solution of a constrained transport equation with no diffusion, under the assumption that the drift field is “compressive”. 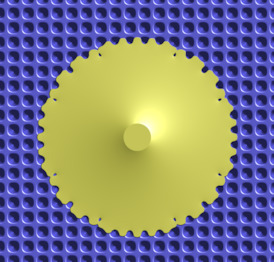 The limit solution reaches the constraint in a so-called congested set, which can be characterized by a certain Hele-Shaw type problem. This convergence result justifies the above relaxation and establishes the relationship of the diffuse interface and sharp interface models. This is joint work with Inwon Kim and Brent Woodhouse.